WASHINGTON (Reuters) - The United States is reviving a law enforcement group to investigate those it designates as domestic terrorists, the Department of Justice announced Tuesday. 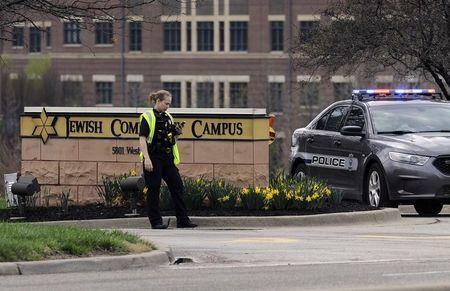 Following hate-motivated shootings such as the one at a Jewish Community Center in Kansas City, Missouri in April, federal prosecutors have pressed the need to coordinate intelligence about such criminals on a national level, Justice Department officials said. The Department of Justice will reconstitute a task force that was originally formed after the 1995 Oklahoma City bombing but dissolved after the Sept. 11, 2001 hijacked plane attacks as law enforcement agencies focused on threats from militants abroad. On Tuesday, Attorney General Eric Holder said in a statement that the United States remains concerned about threats from Islamic extremists, but the group will focus on other motives for attacks within U.S. borders. Events like the April 2013 bombing of the Boston Marathon, in which the attackers appeared to be influenced by extremists abroad, would not fall under the jurisdiction of the group, named the Domestic Terrorism Executive Committee. "We must also concern ourselves with the continued danger we face from individuals within our own borders who may be motivated by a variety of other causes from anti-government animus to racial prejudice," Holder said. The American Civil Liberties Union said it plans to engage with the Justice Department to ensure the effort does not lead to racial profiling or other bias targeting of individuals who may be wrongfully suspected of having violent intentions, said Naureen Shah, legislative counsel for the ACLU. "Attorney General Holder’s announcement that the new task force will focus on evidence of anti-government animus and racial intolerance raises concerns that it could be a sweeping mandate to monitor and collect controversial speech,” said Lee Rowland, a staff attorney at the ACLU. The committee's members will come from the FBI, the National Security Division of the Justice Department and the Attorney General's Advisory Committee, which includes representatives of federal prosecutors.